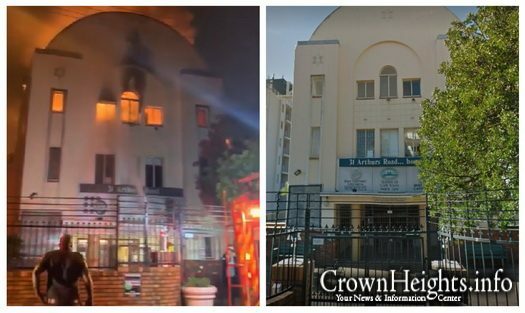 A massive fire in Beit Midrash Morasha of Capetown, South Africa has left complete destruction, with only a single Torah, and some seforim surviving the blaze. 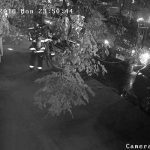 No one was hurt in the fire. Tuesday evening in Capetown South Africa took a turn for the worst when a fire broke out in Beit Midrash Morasha located on Arthurs Rd. The fire spread quickly, and destroyed the entire building. 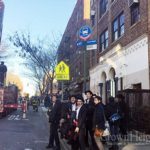 Thanks to quick thinking community members, a single Sefer Torah and some sefarim were rescued from the shul before the flames made it impossible to enter the building. 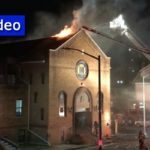 Video of the incident shows the flames billowing through the entire shul structure, and firefighters attempting to control the blaze. No reports have been given as to what triggered the blaze, and no one was hurt in the fire. what was cause of fire?? This is the shul that the Chabad shluchim, Rabbi Mendel and Avi Popack and Rabbi Chaim Meyer and Sara Lieberman, came to when they first came to Cape Town around 1976, before Rabbi Mendel Popack built their own center a couple of streets down.